CEREC is a revolutionary system that allows Dr. Hadaegh to design, create and fit a new porcelain crown in a single visit. Our in-office CEREC machine uses digital imaging technology to capture an image of the teeth and gums, eliminating the need for messy impressions or temporary crowns. You can even preview your tooth on our modeling system. This allows us to create full porcelain (metal-free) crowns in about an hour and a half. Most dentists, by comparison, have to wait for a separate lab to construct your crown (which they might do imprecisely) and ship it to your dentist (which can take weeks). Dr. Hadaegh custom fits your crowns to fit the shape, size, contour, and bite of your mouth. This results in long-lasting, beautiful crowns faster, cleaner, and customized to fit your smile. Dr. Hadaegh and is one of only a few dental offices that offer on-demand, custom porcelain restorations through the use of CEREC CAD/CAM system – and he has the unique combination of experience necessary to achieve the best possible CEREC result. Dr. Hadaegh has completed a postgraduate program in esthetic dentistry at UCLA, and he has completed advanced CEREC training. Seeing is believing, right? Here are a few before and after cases of Beverly Hills same-day crowns offered by Dr. Hadeagh. Save Time: The work is completed chair-side in just one office visit. No more temporary restorations or second visits. 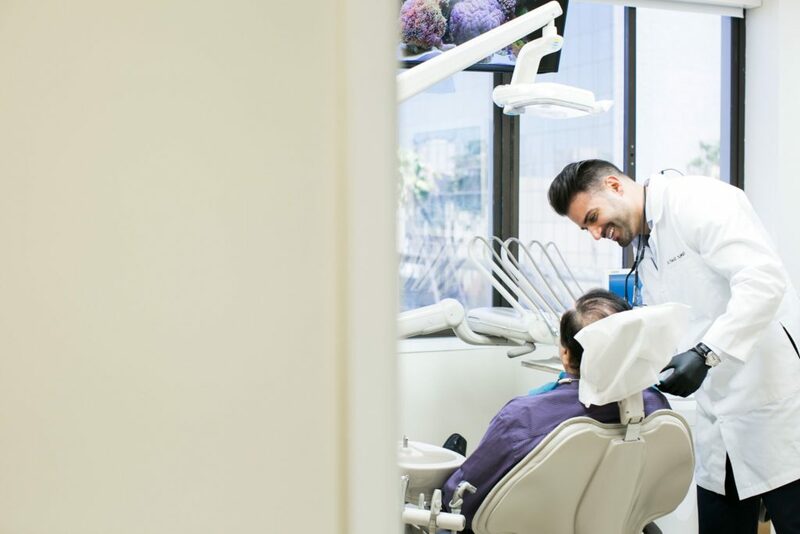 Stay Calm: Through more conservative preparations, this minimally invasive process saves more healthy tooth structure. Stay Natural: Dental Materials are Biocompatible, allowing you to eat hot and cold foods without worrying about your tooth cracking from the extreme temperatures. Be Beautiful: The CEREC process is highly esthetic meaning Dr. Hadaegh controls the technical fit as well as the beautiful, natural-looking design. Handle Emergencies: One-visit crowns mean you won’t lose time if you break a tooth! Contact Us for Beverly Hills Same-Day Crown Costs & Pricing! Interested in a quote for our advanced same-day crowns? Or have any other questions, inquiries, or concerns regarding same-day crowns? Please contact our office @ 310.659.5399 and our receptionist Cami will gladly assist you. We can also be reached online through our contact form.